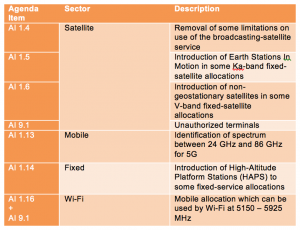 Over 30 agenda items - including the 5G mmWave bands - are being discussed at the forthcoming World Radio Conference, but which ones will affect your organisation; what has been agreed so far and what are the likely outcomes? These are the questions answered in PolicyTracker’s WRC-19 guide. Based on interviews with the key ITU working group representatives as well as regulators and experts around the world, it is the most authoritative guide currently available. It explains what is being discussed at WRC-19, how the process works and gives the expected timelines. The report identifies areas of consensus and disagreement and so predicts some likely outcomes. 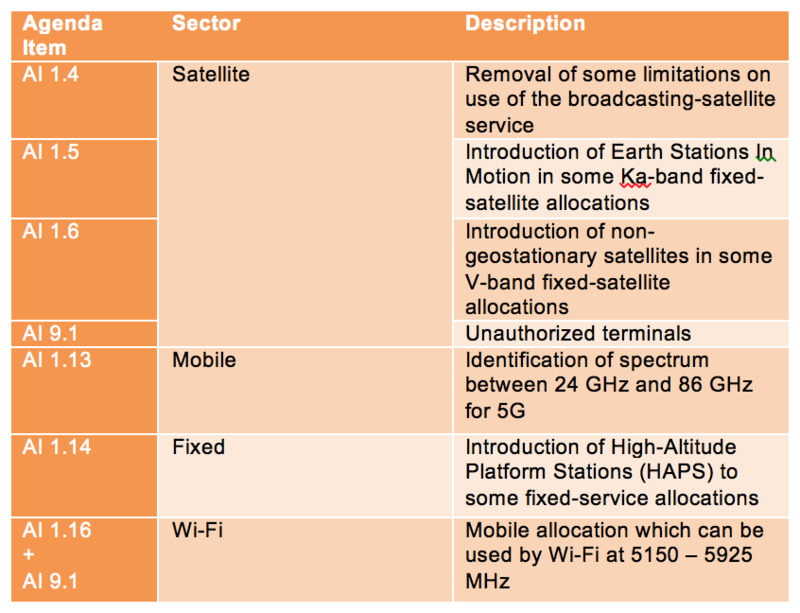 There is a special focus on the 5G mmWave bands. For anyone needing an overview of the likely impact of WRC-19 – or taking part in the process – this is an essential resource. To receive further information, including sample content, please complete this form. The report is 38 pages including tables, maps and diagrams. It costs £999 for a single copy or organisation-wide access is included in a subscription to our Spectrum Research Service. Please use this online form. Paying by credit card is one option and means the report can be delivered the same day, during UK working hours.